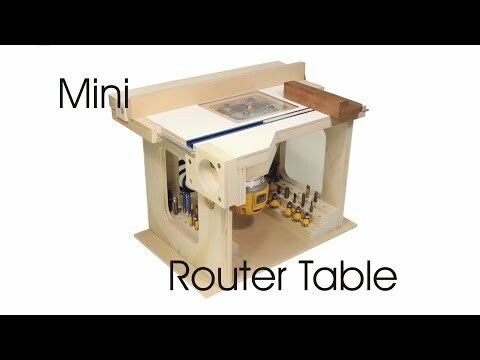 An elegant small table for a trim router, with built-in dust collection and a cam-actuated fence. Highly versatile, and yet takes up little space in your shop. For polycarbonate sheet, first check the scrap bin at stores that handle plastic, such as Tap Plastics. Since you only need a very small piece, this will be your cheapest option. You can also buy it online through Small Parts, Amazon, and dozens of other suppliers. Aluminum strips are carried in most hardware stores, and can be ordered online. The cam lever shown is from Rockler, part #58244. They also supply T-track, although nearly identical products can be ordered from dozens of other sources. I have no relationship with DeWalt, and have not received anything from them in return for my recommendation.